We are here to share, discuss and profile the work that the UK broadcasters are doing around the diversity agenda, both independently and collectively. 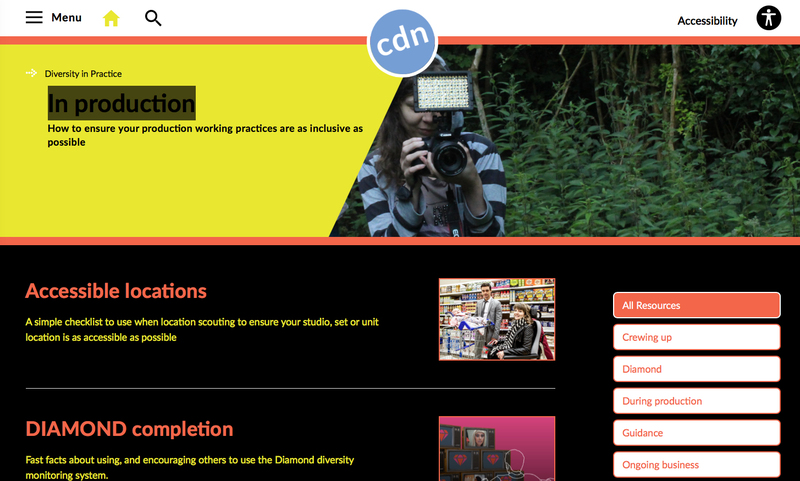 All of the UK broadcasters are members of the Creative Diversity Network as well as long-term stakeholders. Please feel free to navigate the site and explore what is going on and what resources are available. Amy is Project Diamond’s (Non-Technical) Manager. She is responsible for the day to day running of the project and scoping out its future development. Amy’s background includes almost 20 years working in the arts and culture sector, with senior experience in strategy, research and policy development. James is Deborah’s Executive Assistant as well as the Office Co-ordinator. He hands all things social media, general enquiries and even the very website you’re reading right now. He comes from a Marketing and PR background combined with a lifelong love of the world of television (especially RuPaul’s Drag Race). Dean is the company Finance Co-ordinator and Project Diamond Administrator. Dean has a varied background, having worked in welfare to work, travel, fashion, insurance industries as well as publishing and media.